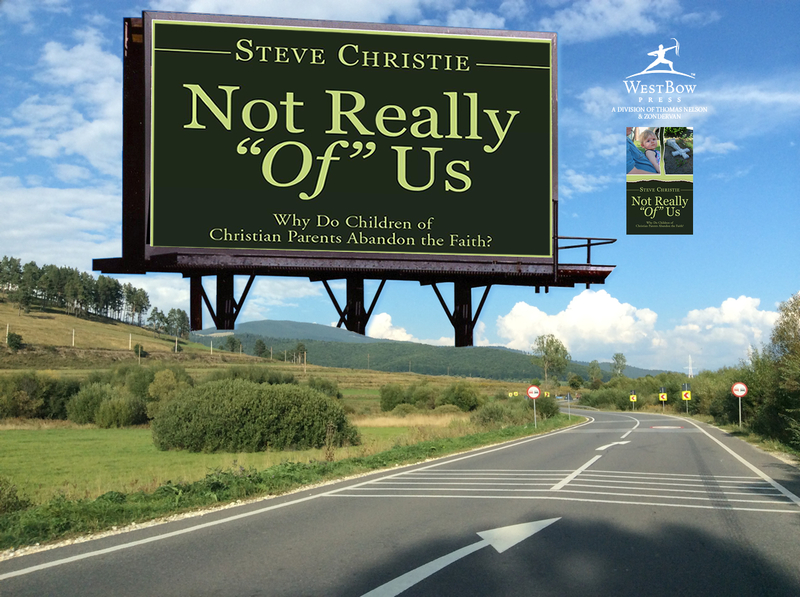 Not Really "Of" Us - Why Do Children of Christian Parents Abandon the Faith? Check back periodically for updates for future book signings! NOTE: Recent posts will be placed on top. Tuesday, November 10th, 2015: Between 11:45am to 12:30 pm, Steve will be speaking with the “Silver Sneakers” & signing books at the West Toledo YMCA, 2110 Tremainsville Road, Toledo, OH 43613. Call 419-475-3496 for directions. Tuesday, December 9th, 2014: At 3pm at the University of Toledo in the William S. Carlson Library, 5th Floor in the Ward M. Canaday Center. Book Review Speech: Watch Online. Saturday, October 25th, 2014: Between 9am to 12pm, I'll be signing books at the 102.3 ProclaimFM Event Center at 7112 Angola Road, Holland, Ohio. No registration required. Call the office at 419-865-9767 or the studio at 419-867-8673 for directions. Saturday, October 18th, 2014: Between 2pm to 6pm, I'll be signing books at Family Christian Bookstore, at 4015 Secor Road (near Sylvania Avenue) in Toledo, Ohio. No registration required. Call 419-475-3575 for directions. Saturday, October 18th, 2014: Between 9am to 1pm, I'll be signing books at The 26th Annual Fall Seminar of the Northwest Ohio Christian Writers at Holland Free Methodist Church, at 6605 Angola Road, Holland, Ohio. This will occur during a separate registered event. Call 419-882-3705 regarding registration and for directions.